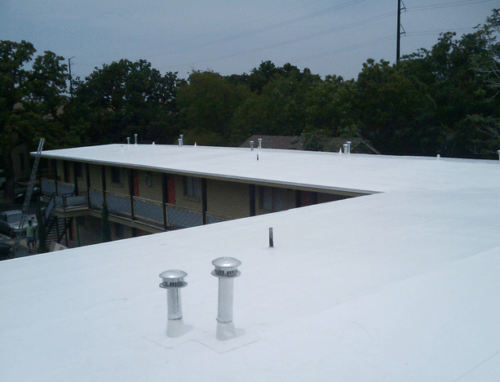 ACS Roofing is the leader in Nashville and Johnson City for commercial roof replacements. We focus on helping our clients choose the best commercial roof system for their business objectives. If you are tired of chasing leaks, it’s time to being looking into your roof replacement options. Choose a commercial roofing contractor that has the ability to help you discover the commercial roof that best fits your business needs. Our company understands that no two businesses or properties are the same, and there is not a one-size-fits-all commercial roof system. Gain an advantage by leveraging our knowledge of construction law, tax credits and commercial roofing. We treat your commercial roof as a valuable asset to your property and business. ACS keeps the most money in your pocket during the lifecycle of your property and roof system. We discover and diagnose your unique problem. 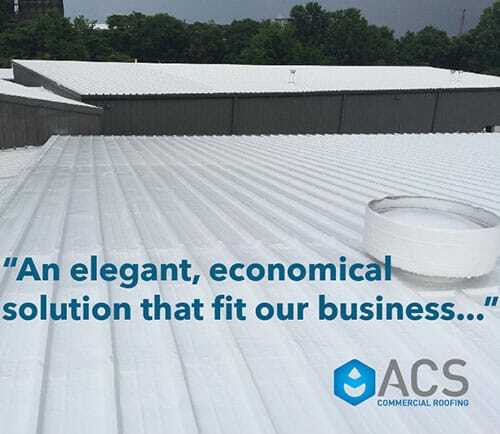 ACS Solution Consultants then design commercial roof replacement solutions that allow you to make the best decision. We research all available options and train our installation teams to adhere to the highest standards of installation in the Commercial Roofing Industry. 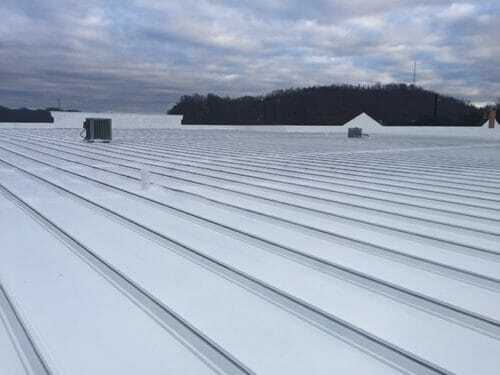 Click the photo to learn more about how Bonded Filter Co., in Nashville, had a successful Commercial Roof Replacement experience with ACS Roofing. Ounce of Prevention or Pound of Cure. Did you know that moisture in roof systems is one of the primary reasons for premature failure of a roof re-cover? Don’t re-cover your roof system unless you have had a qualified roofing contractor perform a thermal scan for moisture in the existing roof. It can buckle insulation, destroy decking, rust fasteners, create mold issues and ruin nearly-new roof systems. 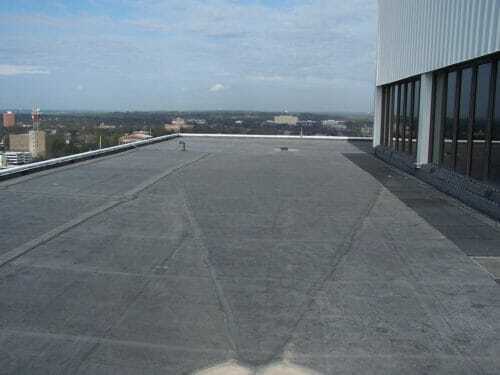 Many business and property owners will spend tens of thousands on a roof-recover with a commercial roofing company only to find their new roof is failing a couple years after being replaced. The manufacturer will not honor a warranty on a roof re-cover that has trapped moisture beneath it. 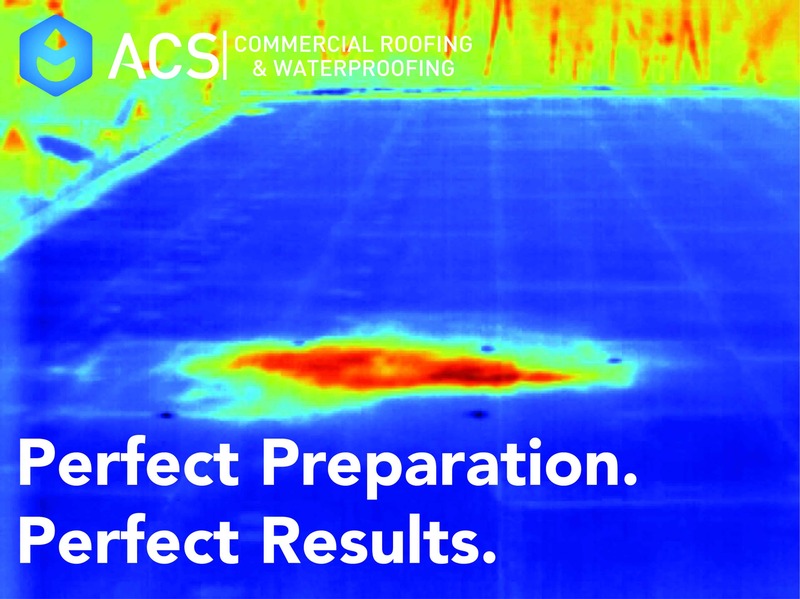 ACS provides thermal imaging services to identify unseen moisture trapped below the roof surface without destructive testing such as core samples. Ideal for larger facilities, thermal imaging can save thousands for just pennies on the dollar. Have you financially prepared for the cost of a roof replacement? We want to help you be as prepared as possible for the day when you will need to replace your roof. We know many companies have failed to budget for a major CAPEX project, such as roof replacements, but still need a solution that keeps the water out of the building. Our Solution Consultants help you begin planning for the future. They will outline a plan for the immediate future, help you pick a long term solution and give you all the data you need to begin budgeting for that roof project. 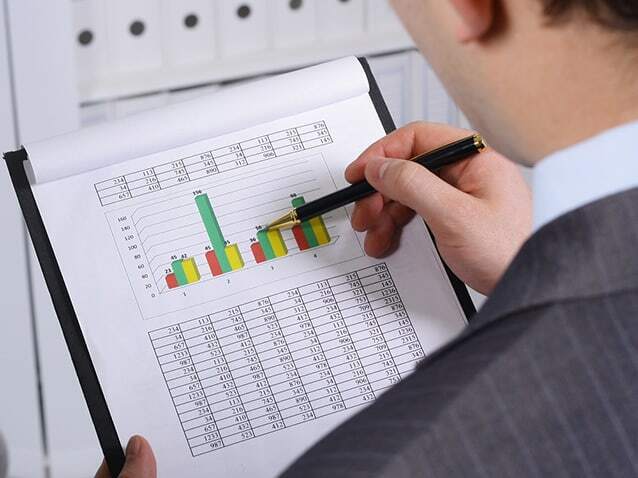 Proper financial planning takes the pain out of major capital expenditure projects. Stop worry about your next roof replacement. Join the ACS team and be prepared. We remove the worry that comes with a large roofing project and replace it with a strategy that fits your business’ financial goals. Roof coatings are a great way to save money, get leak-free warranties and massive first-year tax breaks. Roof replacements with silicone roof coatings often cost less than half of a reroof with a traditional membrane product. 20-Year leak-free warranties offered by GE are equal or greater to the roof warranties offered by leading membrane manufacturers. The cost of coating your roof is fully tax deductible your first year. TPO is leading the world in installations on low-slope roof replacements and new construction. TPO is durable and reduces HVAC costs, in many environments. Manufacturers of TPO may vary slightly in their formula but the leak-free warranties are similar in length and coverage of materials and labor. 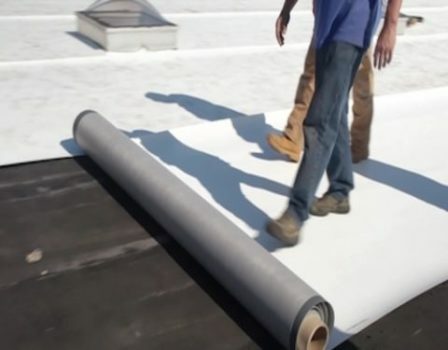 With more than 70% of all roofs being replaced with TPO it’s the most preferred membrane in the world. EPDM (Rubber) has the longest history of any singly-ply roof membrane. There is no disputing that EPDM is the most proven roof membrane on the market today. In cooler environments, EPDM decreases heating costs in a building. In the Southeast they are criticized for the additional cooling costs. These roofs are fairly easy to repair and, with proper maintenance, can have their life extended well past the warranty. In some cases, EPDM is the less-expensive singly-ply roofing option to install. PVC is the most fire retardant and chemically retardant membrane on the market today. There are many circumstances where PVC should be the primary choice for a property owner when re-roofing a building. Restaurants, for example, should have PVC roofs installed to prevent grease from corroding the roof. KEE has recently been added to PVC membranes to increase their flexibly and durability. Progress continues to be made in the chemical formula of PVC roof systems. Want to see how we are making our clients lives better?